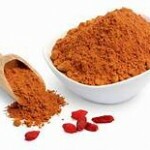 Nutra Ingredients Ltd. | Organic Goji Berry Powder in stock... - Nutra Ingredients Ltd. Please let me know if you wish to reserve any of our stock, receive samples or pricing ahead of any Brexit related delays during March-April 2019. Contact trevor@nutraingredients.co.uk for further information/pricing.